Manage expenses with ease from anywhere. From receipt capture to reimbursement, your organisation can manage the entire expenses process easily on a mobile device. 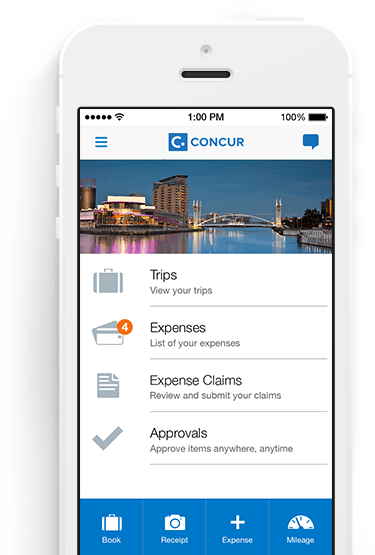 Concur makes it simple for employees and managers to complete all expenses tasks, and track itineraries, on the go. No more copying or sellotaping paper receipts. 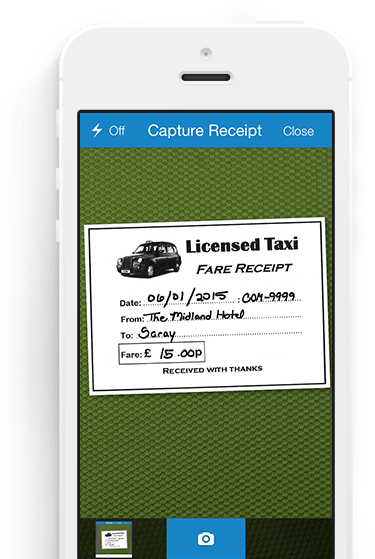 Concur’s mobile application lets employees use a smartphone camera to capture and attach receipts to their expense claim. Managers can use their mobile device to review, approve or reject expense claims while they’re out of the office, reducing the time to reimbursement and gaining real-time visibility into spend. Manage everything from the Concur expense app.